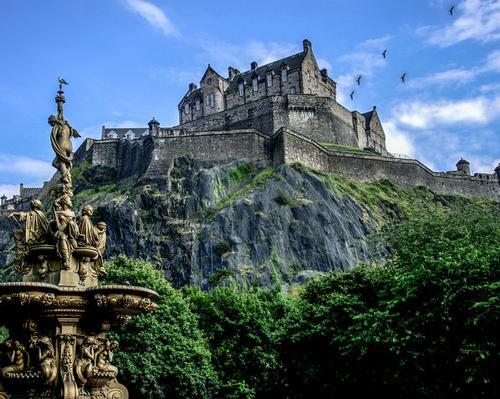 The Scottish Tourism Alliance (STA) has warned against a tourism tax for Edinburgh proposed by the Scottish government, stating that the Scottish capital is “one of the few European cities in decline” in terms of tourist numbers. Hotel occupancy across Scotland is down 1.4 per cent, according to STA, while the UK sits at number 135, out of 136 countries, for international tourism price-competitiveness. In an email to its members, the STA said: “Edinburgh is one of the few European cities in decline. Glasgow figures are showing the same trend. There is a misconception of a buoyant industry. "We are simply at the bottom of the pile when it comes to competing on price against other global destinations. "If price and value for money is a deciding factor in a visitor’s choice of destination, there are 134 places in the world that will be more attractive to them than the UK. "Where would we sit in relation to price competitiveness if we introduced another tax on the international visitor, and indeed our domestic tourists? "We would be at a competitive disadvantage to other locations with a much lower VAT, who do not include any tourist taxes in public prices. Prices displayed by our competitor destinations will always look more attractive at first glance. "A tourism tax could negatively impact businesses that rely on the tourism economy by reducing visitor spending right across the industry – in pubs, restaurants, shops, cafes, visitor attractions and entertainment venues." STA also referred to two pieces of research conducted by Nottingham University that found that a price of one per cent, relative to global competitors, reduced tourism by one per cent and that a one per cent increase in UK costs would lead to a 0.61 per cent fall in tourism spending.